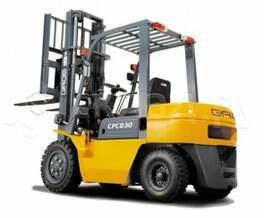 Some GROS Forklift Trucks Operator Manuals PDF are above this page. Warehousing technology GROS are manufacturers of the TOP-10 world rankings, this is a complete line of warehouse floor transport from a simple hydraulic trolley to a reach stacker. The range of GROS loaders is manufactured at Anhui Heli Co, Ltd. The plant has been manufacturing fork lift trucks for more than 50 years, and in 1985 began to make them using the technology of the Japanese company TCM with the use of components from world manufacturers such as Isuzu, Yanmar, Nissan, Perkins, Volvo, Xinchai, DEUTZ, Kessler, Rexroth, Parker, Dana, ZF. Electrical equipment GROS is equipped with command controllers Zapi and Curtis, which are used by European manufacturers. 2006 - The birth of GROS. Leading companies of China are united to create a new brand. 2012 - GROS from Shantuyi. 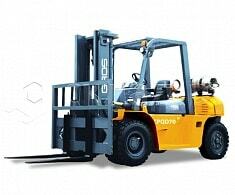 GROS forklift trucks are being manufactured by SHANTUYI. 2014 - Warehouse equipment GROS. Release of products with the GROS brand is started by such grants as NINGBO RUYI Joint Stock Co., Ltd. and Zhejiang NOBLELIFT Equipment Joint Stock Co., Ltd.
2015 - GROS and HELI. Since the beginning of 2015, the production of trucks and storage equipment with the GROS brand is being launched by ANHUI HELI CO., LTD, a leader in Chinese industry. Affordable prices for Chinese loaders GROS and their compliance with high international quality standards ISO 9001 and CE safety, high load capacity (from 1.5 to 46 tons) are the main reasons for the popularity of this brand's machinery. Forklift trucks can be used for storing metal, transporting heavy loads, dismantling and transporting tires of trucks and for a number of other works. Their production uses the best steel grades, engines, transmission and hydraulics of the famous European and Asian brands, which ensures the reliability of construction, durability and the ability to work in all weather conditions. Operators working on the technique of this brand, note the convenient arrangement of working elements and good visibility, which allows to increase the speed and quality of the tasks.